Find Your Why. Tell Your Story. Get Results. We're excited to have Christine Miles, Co-founder & Chief Architect of Ci Squared and upcoming guest InSync Training BYTE speaker, explain the importance of your personal story to your professional success. It seems intuitively obvious that when someone has a passion for what they do in life, whether it is their vocation or recreation, that this passion is contagious, infectious and inspiring to others. Sometimes though, how we tell our story doesn't translate well, nor does our approach fully communicate our passions. Recently, I attended a friend's party, expecting to know only about half the guests. An extrovert by nature, I generally get excited when meeting new people, but I know the drill: much of the evening will be spent listening to people as they answer that age-old question… “so what do you do for a living?” It's a tough question to be both asked, and answered, as describing what one does for a living can be somewhat boring and lifeless. I've witnessed and experienced that feeling of glazing over as one says things like “I'm an engineer, a scientist developing products,” “I’m a therapist,” etc., etc., etc. These descriptions don't offer any real information; I'm not really any closer to understanding or knowing them. We fall into the uninspired “what do I do trap” in business conversations as well. How many meetings have you been to where you start by going around the room and everyone says their name, what they do for the company and for how long? It isn’t inspiring or memorable. As Simon Sinek so aptly shares in his Ted Talk (called "What Great Leaders Do to Inspire”), the WHY we do what we do is profoundly more interesting and helps people opt in or out, as they quickly understand our beliefs. Understanding your WHY, your own story, and what fuels your passion is the first step to changing how you converse with others. It’s a paradigm shift that requires that you learn how to find your story, where it begins (how young were you when), and how that connects to who you are and what you do today. It’s a road worth traveling to tap into your passion and ultimately communicate that story and passion to your employees, customers, prospects, friends and your families. The outcome is so different then; your story inspires and is infectious in a way that leads to an enhanced experience/conversation and yields positive business and personal results. I experienced this power with our client, Frank Rhea, Executive VP of Tozour Energy Systems. Shortly after participating in my CI Squared “Art of the Nudge" workshop where Frank and his team gathered, built and told their WHY stories, his team used their new skills with a client. The purpose of their meeting was to introduce the Tozour team to the client, try to build trust and confidence and get them to understand that “you want Tozour on your next job". Typical protocol would have been for the Tozour team to say their name, role, etc. With new skills in mind, Frank instead directed his team to share their “30 second WHY” stories. The feedback from the client was a homerun! "...this is the best introductory meeting we’ve ever had, we felt we really got to know your team..." Ultimately Tozour won the business. While the approach to the meeting wasn’t the only factor, Frank said the team sharing their 30 second WHY story, made them memorable, bonded them with the customer quickly and it was a clear differentiator that helped them win the business. The moral of the story… discover your why, use it to build and tell your story, and this could be your winning combination too! Want to learn more about how to build a better story? 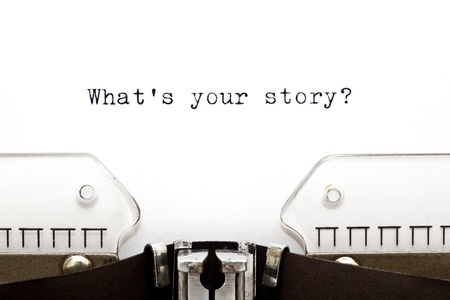 Curious about the impact of storytelling on your communication skills? Don’t miss Christine’s upcoming guest BYTE session, “Mastering Storytelling for the Business Conversation” on January 17, 2017. Click the icon below to register.